I occasionally get stopped by a security guard when photographing on someone’s property. Today was a first as I got questioned whilst photographing this building from across the road. 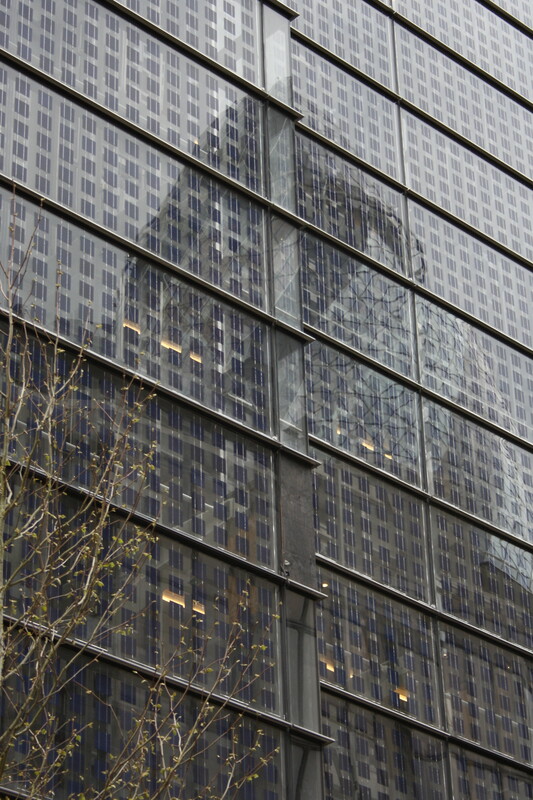 Interestingly, one of the most unusual parts of the building is the photovoltaic solar energy panels on the side of the building shown here with a rather nice reflection of the Gherkin. Photographing this is fun but offers absolutely no clues as to what is happening inside the building. The security guard turned out to be quite friendly and told me that there were only two tenants but there would soon be a ‘sushi – sambo combo’ on the top three floors. The ground floor has a huge aquarium behind the reception desk so the sushi will clearly be locally-sourced.